This series of blog posts is designed to share books and other media related to wearing braces and orthodontic care. 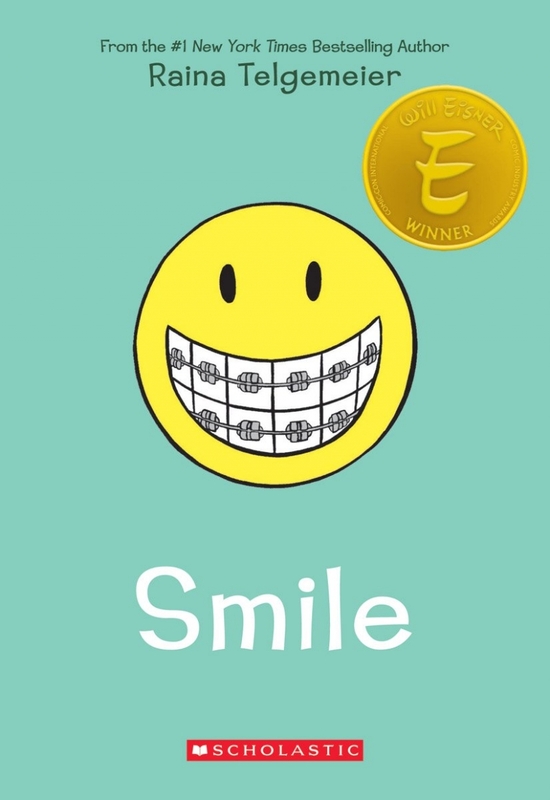 This week, we’re excited to be sharing the graphic novel ‘Smile’ by Raina Telgemeier, which is all about the challenges faced by a middle schooler going through orthodontic treatment. 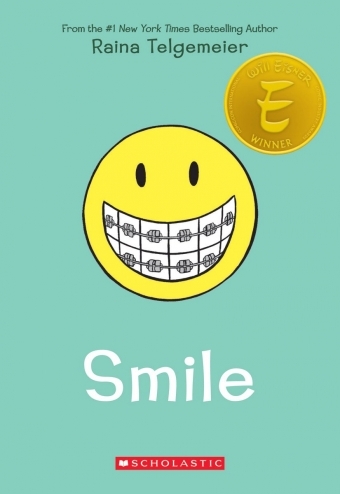 ‘Smile’ by Raina Telgemeier is all about Raina, who just wanted to be a normal 6th grader, and get through unscathed. Unfortunately, one night she falls and injures her two front teeth. A long and frustrating ordeal involving braces, surgery, cringe-worthy headgear follows… she even has to deal with a retainer with false teeth attached. Add to all that the usual confusion about boys and the social challenges that define these formative pre-teen years, and Raina has her work cut out for her when it comes to making it through the 6th grade! Braces and orthodontic treatment can be hard to deal with, especially for children and teens, when all they want is to fit in and feel ‘normal’. This sweet and funny coming of age story is relatable for middle school-age kids, but it will resonate with anyone who has ever strggled through being a pre-teen – especially with those who, like Raina, had a little dental drama thrown into the mix!